These days I find myself gravitating more and more toward products that are made with my and my family's best interest in mind. One of these product brands that have that philosophy is Purify Organics. The kind people at Purify Organics sent me a few products to try out myself. 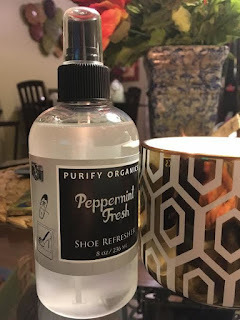 This refresher has a nice, mild peppermint scent with tea tree oil to help give all day odor control. It is enriched with a special blend of organic essential oils that are known for their bacterial fighting properties and also protects against fungal infections. My husband and son both have jobs that require them to be on their feet most of the day. 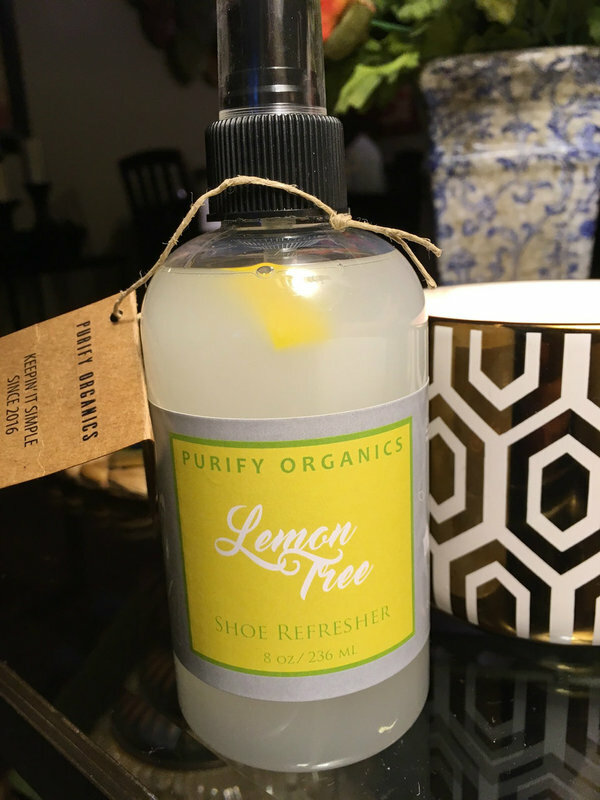 This shoe refresher is perfect for spraying their shoes and boots when they get home at the end of the day. A crisp, lemony scent with tea tree oil. Like the peppermint shoe spray, this product is also free of Artificial Colors, parabens, animal derived ingredients and formaldehyde. It just has reliable organic ingredients as well. I nice crisp scent that is perfect for my sneakers, shoes and boots. This has a nice subtle masculine scent. 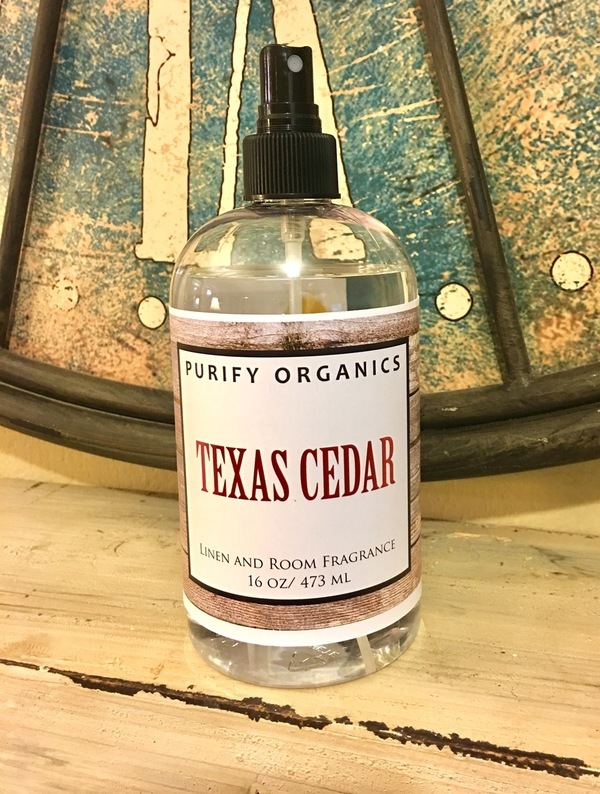 It has the fragrance of Texas cedar with hints of sage and spicy bergamot. It makes me feel like I am standing in a forest. 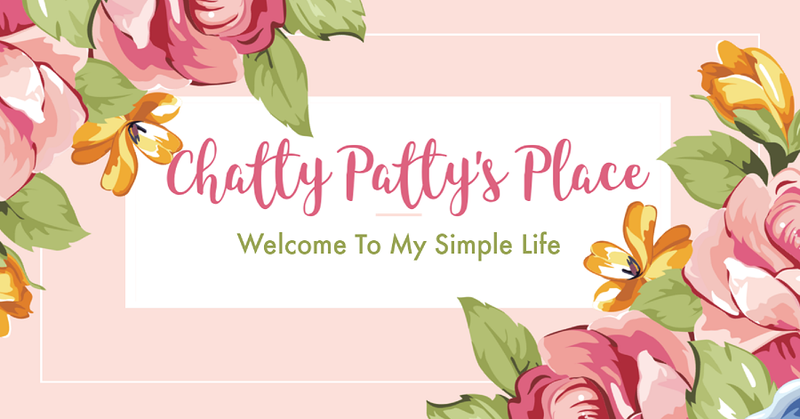 It is perfect for my husband's clothing and closet refreshing and his man cave. Essential oil based linen and room fragrance enhances living spaces, autos, pet areas, drapes, rugs, upholstered furniture and much more! 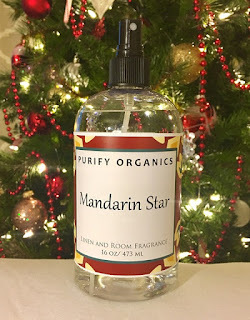 This beautiful scent has mandarine fragrance with myrrh, golden amber and frankincense. 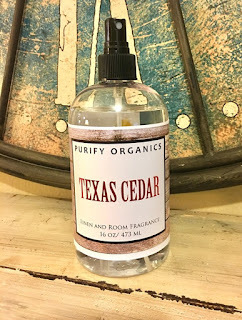 It is a very romantic scent that I would use on my linens, clothing and in any room of my home. The minute I smelled this scent I fell in love with it. I sprayed it on all of my scarves and sweaters, and on my pillow case. There are more beautiful scents that are available from Purify Organics. 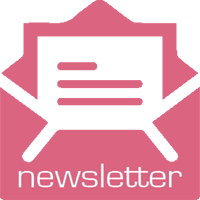 Be sure to visit their website to learn more about their products. Purify is a company based on integrity. Integrity is about being real and being honest. It means doing the right thing even when no one is watching. 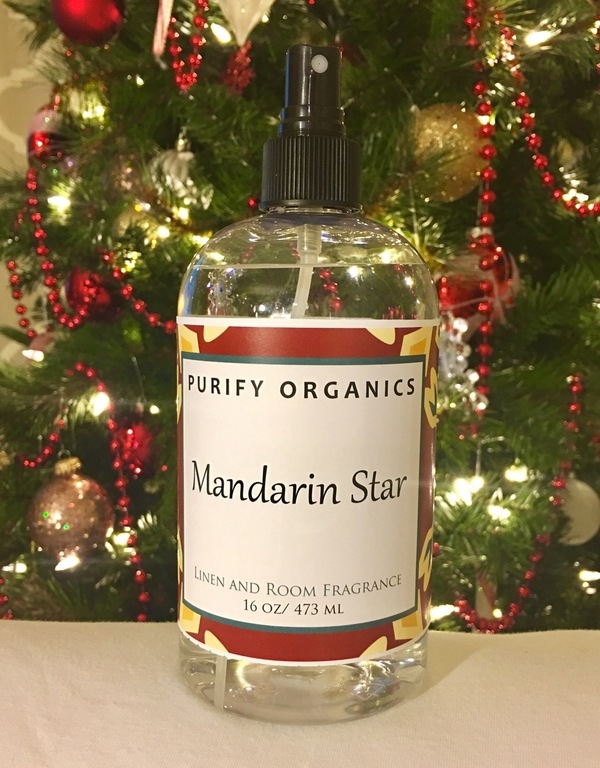 Be sure to follow Purify Organics on Social Media to keep up to date on their latest products! and check out their Organic Friends Blog! Disclosure I received products to review for my honest opinion. No other compensation was received. Opinions expressed in this post are based on my own personal use and your opinion may differ. **Whenever I use any kind of sprays on surfaces or materials, I always do a spray test first and test it in an inconspicuous area. Wow! I need the shoe refresher for my boyfriend. He is on his feet all day in work boots. All the scents are divine! Thanks!